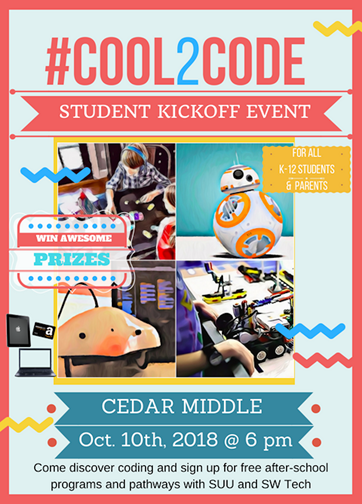 CEDAR CITY — Iron County School District is hosting its second “Cool 2 Code” student kickoff night for students. The free event is scheduled for Wednesday from 6-8 p.m. at Cedar Middle School. 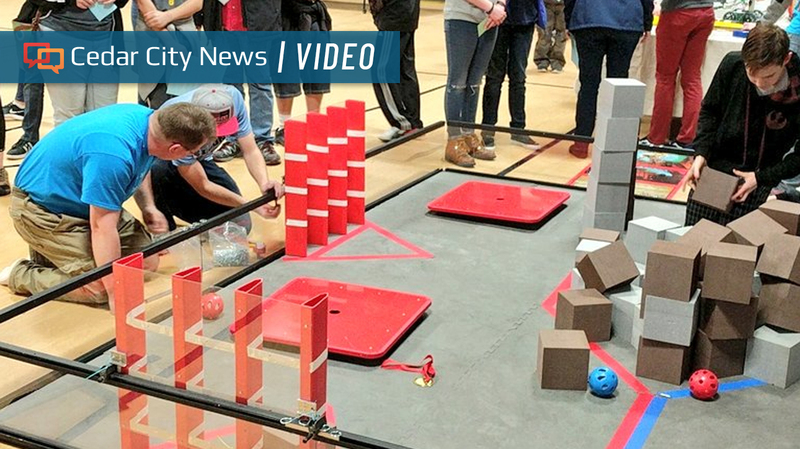 Cory Henwood, digital teaching and learning specialist for the district, said last year’s inaugural event, held at Cedar North Elementary in January, was such a popular success, organizers decided to move it to a larger venue this year. The free event is open to all Iron County students in grades K-12 and their parents. Students will be able to try out a variety of hands-on activities, including Lego League Robots; Finch, Ozobot and Sphero robots; Microbits coding; Osmo coding blocks for K-3 students; and various other STEM activities. Various prizes, including an iPad, Chromebook and various robotics kits, will also be given away during the event, Henwood said. Additionally, parents will be able to sign their students up for free afterschool and online programs and get free support software. Iron County School District currently provides free afterschool programs at Enoch, Cedar North and Cedar South elementary schools as well as at Cedar Middle School and Canyon View High School. It also operates an eight-team Lego League, in addition to providing online programs for learning to code, such as CodeChangers and Code.org, as well as learning to type with Keyboarding Online. Older students will also be able to explore possible career pathways and post-high school opportunities with assistance and support from Southwest Technical College and Southern Utah University. What: “Cool 2 Code” student kickoff event Iron County School District students and their families. Where: Cedar Middle School, 2215 W. Royal Hunte Drive, Cedar City (click here for map). Additional details: Contact Cory Henwood via email at cory.henwood@ironmail.org.